"I have found some great articles on your website related to how and when to invoice a client. But I am left with three questions about tax reporting. I did call a rep at HR Block, but was simply told to look it up on Google, or call the IRS and state tax board for more info. I'm hoping you might be able to answer my questions directly, or through an article." Form W9: Used by businesses (your voice-over clients) to request your taxpayer identification number (social security or business). Form 1099: Used by businesses to report income paid to you in a particular year. Q: At what price point must a client request that I fill out a W9? Would this be for payment over $600 for a single job, or over $600 of earnings for several small jobs from a single client? Tom (pictured): If it's a client in the United States, you should fill out a W9 immediately, regardless of the rate for the first job. 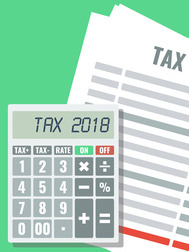 They are supposed to issue you a 1099 if they paid you $600 or more in a calendar year, but even if they don't, you still need to pay taxes on that income. You are supposed to declare 100% of your income, regardless of whether the client issues you a W9 - whether or not the total income from any one client exceeded $600, or whether or not the client is based in the U.S.
Q: How does a brand new VO talent, as an independent contractor, estimate earnings for the year to prepare for taxes? Ultimately, I would like to know what percentage of each paid job I should set aside for federal and state taxes, including Social Security and Medicare. 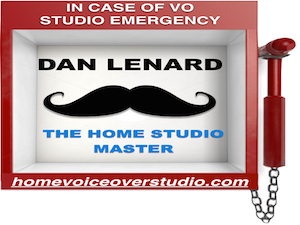 Tom: If you earned any money in the previous year as a voice talent, base your estimated taxes on that. If you acquired a new client at some point during that year and are working for them on a regular basis, extrapolate how much more you would get paid if you worked for them an entire year. You can always pay more estimated taxes if you're earning more than you predicted. As for saving for the quarterly payments, set aside at least 20% of each gig (or 25% to be safe) and put it in a savings account so it is separate from your other accounts, and earns interest. When I get a refund, I just roll it over into the next quarterly estimated tax payment. Q: What tax form does a VO professional file each year with the IRS? 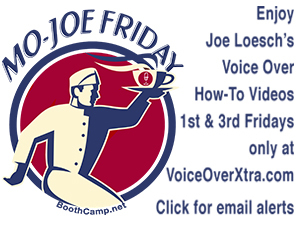 Tom: Non-union voice talents tend to get 1099s from their clients, and tend to file as a Schedule C.
Union voice talent get W2s, and tend to file as a Schedule A. There are no absolutes. You need to talk to your CPA to determine the proper course based on your revenue, the amount of withholding, your dependents, expenses, the state you live in, and many other factors. 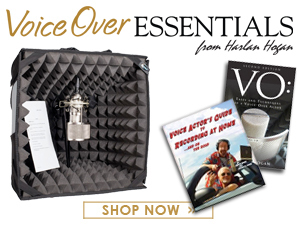 Over two decades, Tom Dheere has narrated thousands of projects for clients in over a dozen countries and voiced more than 60 audiobooks. 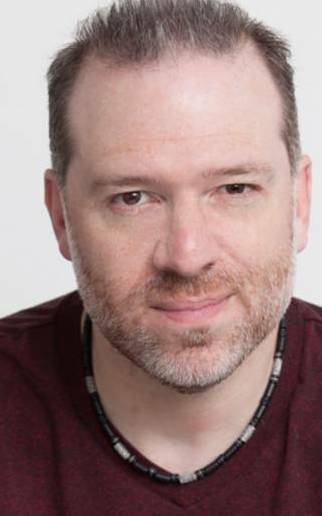 He is also a voice-over business consultant known as the VO Strategist, was the marketing consultant for the Voice Over Virtual online conference, and is writer/producer of the sci-fi action comic book Agent 1.22.